Our hostel has a full kitchen with all modern appliances. It is open 24/7. Breakfast is served in the kitchen from 7am to 10am daily. We have a brand new kitchen with 2 ovens and hobs, 2 sinks, a dishwasher, fridge, microwave oven, tea & coffee making facilities and more. Feel free to rustle yourself up some food & beverages and take a few steps into either the garden or one of our two dining zones. Breakfast is served free of charge from 7am-9am and consists of 4 different cereals, toast with spreads (jam and peanut butter), fruity juices and tea and coffee. 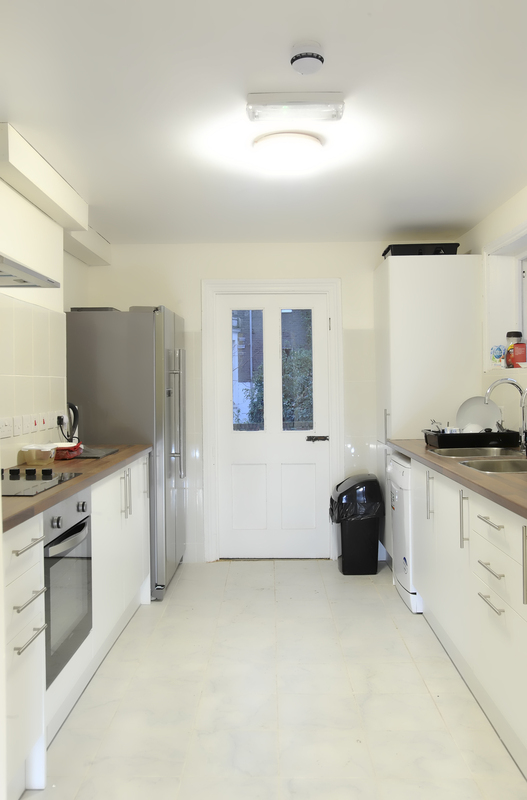 You can also use our kitchen to cook meals outside of breakfast time and can help yourself to complimentary tea and coffee any time. The kitchen is generally available 24h a day. We recommend putting your personal food in a bag and labelling it with your name, room number and departure date before you place it in the fridge. To label your food for the fridge our reception has labels and pens available.